The Miss Cire Extra Large Wax Warmer is designed for 10 Lbs. (4.5 kg) of real capacity, specially made for heat resistance. 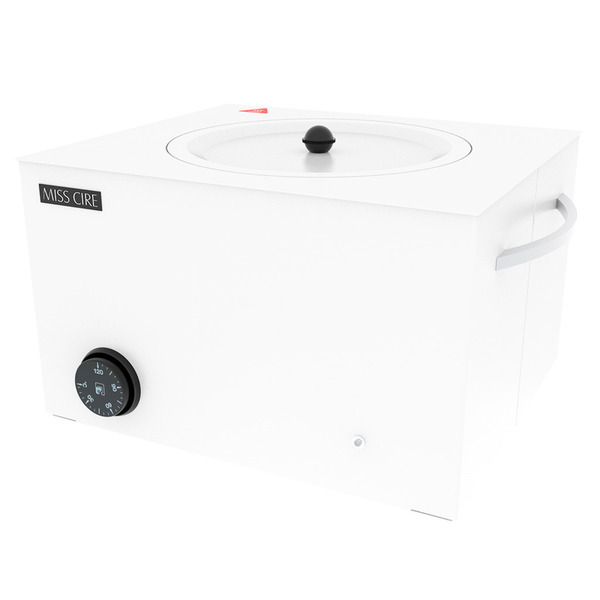 Contains a thick aluminum tank which allows the wax get melted at the same speed each and every time. High-quality temperature control wheel allows you to obtain the right wax consistency. The temperature light indicator is activated by the LED system. Is totally ecologic, more durable and more economical in power consumption. White alpine color gives a neat and clean appearance, easy to clean and remove wax residues.